I hope you ALL have wonderful, stress-less, and safe holidays. My husband, son, daughter, and I will be spending a very quiet family time. We will be picking up our Honeybaked ham today, and I am going to go ahead and get the three bean salad (a recipe from my grandmother), as well as my potato bake (a recipe of my mother) made, so I won’t have to spend a lot of time in the kitchen tomorrow. I plan to work on a 1,000 piece puzzle tomorrow. I am pretty sure Santa will be leaving one for me tomorrow. We got our old bridge table out about a month ago and started making “group effort” puzzles. We all try to get a few pieces done as we walk through the family room. We may not make huge amounts of progress at any one time, but we all have been enjoying making the puzzles. They’re pretty relaxing… most of the time. Merry Christmas to you as well. I too am cooking today so that I can just sit back and enjoy my family when they come for supper tomorrow night. I have a stack of books to read and got a $50 gift card to a local bookstore!!! I am a happy camper!! I love doing puzzles over the holidays! So relaxing (yes, at least most of the time). Ann, when I told my daughter we were going to get out our puzzles, she talked me into buying a few 5oo piece puzzles. Good grief! She didn’t have much faith in my husband’s nor my puzzle skills! Apparently, since I had to get out one of the 1,000 piece puzzles I had bought years ago, we didn’t have as much trouble as as she thought we might have! Sounds wonderful! Merry Christmas! We are having a very quiet Christmas here too! Kath, I think “quiet” Christmases are the best! “Quiet” Christmases can be nice but year after year quiet Christmases can get to be very lonely. Hopefully good books to read and good TV movies and shows could help some people through this often very lonely time. Around here there were quite a few places that offered places for people to go be with others for Thanksgiving but there were none for people to go to be with others on Christmas Day. Shame!! Linda, you are so right about the Thanksgiving dinners/socials VS the Christmas events. San Antonio has major food drives during November (although, obviously, the Food Banks can always use donations! ), but I don’t think we have anything in December, as far as food drives go. We do have drives like the Toys for Tots, and also, different businesses sponsor Secret Santa drives for children. Thank you, Susan F. I hope your Christmas was wonderful. Like Karen, my Christmas Dinner is all set to go in the fridge and ready for the oven tomorrow. Chicken Francaise, roasted veggies, roasted potatoes and lasagna. I know it would probably be better made tomorrow but I would rather relax and enjoy the day. We started catering Thanks Giving dinner several years ago and never went back. I tried to think how to handle Christmas Dinner; I tried it once and it worked out so I kept it going. I always say I have CDO (like OCD but the letters are in the order they should be) and I get so frustrated I give up. When I was a kid, puzzles were one of my favorite presents. Margaret, we bought our Thanksgiving Day dinner from Marie Callender’s this year. It is the first year I did that. It was really good, but I’m not sure what we will do next year. I have to admit I got quite obsessive/compulsive about the puzzles a few times this past week. And, it appears my son, daughter, and husband had a little OCD going, too. BTW, my father is truly addicted to jigsaw puzzles. He almost looks at them as a job and can’t hardly stop until he has one completed. BB, at any given time, one of us would be fixated on those puzzles. Not quite like your Dad’s “a job” obsession, but pretty addicting. I apologize but I can’t believe it took me this long to fully read this blog entry. I am very relieved to hear that other people have OCD about puzzles. I have tried but cannot stop doing puzzles. I have the same problem with free cell. I don’t let myself touch either one, which is hard because I like doing both. So glad I’m not that way with books. Nancy, as much as I enjoy puzzles these days, I have to make myself not find just one piece when I have other things I have to get done. Just like potato chips! Happy holidays to all. I also received Gift Card(s) for my Nook. Doesn’t take much to make me happy. Sheila, I’m glad you are having a nice holiday. I didn’t get a Kindle gift card, but I did get one for Michael’s. I will be hitting that store as soon as my daughter goes back to Austin. Danna, Merry Christmas to you and to your family too. Also to all of you who contribute to this blog. DH and I are having a quiet Christmas Eve but will spend some portion of tomorrow at one of my granddaughter’s house. My daughter will be 46 tomorrow. What a day to have a baby! It is kind of foggy here in my part of Ohio tonight so I guess Rudolf will be guiding Santa’s sleigh tonight. Almost all of the snow that we got Friday and Saturday is gone, so no white Christmas for us. Just be careful everyone if you are traveling this holiday. I hope you had a delightful Christmas, Linda. It almost seems like every year, holiday flyers have long delays and even longer lines they have to endure. Merry Christmas. We had family christmas last night with the great grand kids. Got 2 book cards for christmas and 2 for my birthday, Here I come , Barnes and Noble Books-a Million. I am behind on book buying and this will get me caught up until january. Ginger, it sounds like you had a wonderful Christmas Eve, with all of your family. Danna, that sounds like a great recipe for a relaxing and happy holiday. We’re having a rotisserie chicken my husband bought on his marathon shopping trip today, plus stuffing and creamed corn. Think I’ll skip the sweet potatoes this year because it’s just the two of us. I’ll be doing jigsaws and hidden object games on the computer while my husband watches TV. And of course there’ll be some time to read the newest Gideon Oliver mystery by Aaron Elkins. And to enjoy a Harry Potter novel on my Christmas Kindle. Deb, our holidays were very relaxing, and again, I’m surprised by how much fun we had with those doggone jigsaw puzzles. We are a puzzle family, too….love those Christmas ones!! Just returned home today from visiting my daughter and her family in…get ready…yep, you guessed it, San Antonio!!! 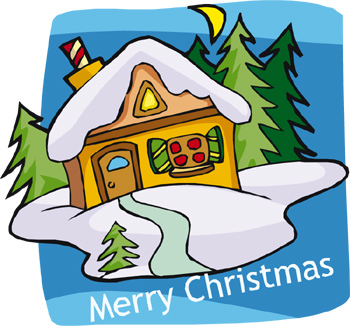 Danna, I’m wishing you, and all your family, a very Merry Christmas!…thanks for all you do for us! Cathy, I’m guessing that while you were in San Antonio, you visited the RiverWalk. A very Merry Christmas to you, Danna, and all the rest of you, Cozy Mystery readers! Thank you, BB, for the Christmas wishes, and for all of those great Kindle mystery book deals! I am not cooking or driving anywhere. I do plan to read all day in my PJ’s with tea..
Lexie, you are so right about the holiday crowds. Reading in your PJs while drinking tea sounds a whole lot more relaxing. Merry Christmas to all of you. We celebrated our Christmas last night with our children and their spouses. We had our usual Italian dinner of home made mannicotti, salad, garlic bread, meatballs in sauce, and for desert Christmas cookies. I am not a cookie maker, but every year, I make thimble cookies. They look weird, but taste good. I swear this is the last year I will make them or as Scarlet O’Hara said “As God is my witness” NO More. Today is a quiet day and I am enjoying it. Regina, I have to admit that your Italian menu sounds a lot better than turkey. Merry Christmas to you and your family, Danna. Also to other members of this blog. I look forward to your posts all year long. Danna, Hope everyone had a good Christmas Day. We did indeed go to my oldest granddaughter’s house for Christmas dinner. We were sort of hesitant because the last few years two of the oldest sister /granddaughters decided they both wanted to argue on Christmas Day. But this year for some reason both were on their best behavior. I was proud of both of these very fine young women. I love my grandchildren!! My daughter and son-in-law must have read my letter to Santa Claus because I got a Kindle from them for Christmas. One of my granddaughter’s was supposed to come help me set it up on the computer yesterday (or whatever has to be done to get me started) but with the snow blizzard not too many people went anywhere. But that will happen. I think we got about 8 to 10 inches of snow. This week between Christmas and New Year’s Day is my all time favorite times of the year to sit back and relax and just read. When it comes time to list our recommendations for this month I will have a bunch of books to list. Have done some great reading! I have a thing, I don’t know what a person would call it, a fetish, maybe? But I always want my house back in order by New Year’s Day. My grandmother had a saying that what a person does on New Year’s Day will set the tone for the coming year. Well, I don’t want my house to be out of order all year long so the decorations will be put up either Friday or Saturday, house will be clean by the New Year. One thing I KNOW we will do is watch football all year long because that is what we will do this New Year’s Day– watch football! When I get tired of all those games the Hallmark Channel will have a bunch of movies. Yesterday the Hallmark movies were great. Spent the whole day with that channel! Have a great week everyone. Hope the snow storm didn’t hurt any of you. We got a bunch of snow but thankfully we didn’t have to go out nor did we loose any power. My dog Toby loves the snow. We have to pick Cadyanne up and take her outside. She wants nothing to do with it! Oh by the way!. I did finish those hanging quilts panels for my sisters. Even though I still have a lot to learn I think they came out fairly well for my first tries at quilting. It seemed each panel was better than the first. I wasn’t ashamed at all to present these quilts to my sisters. Sometimes I think I just worry too much!! Now I’ll just have to wait to see what each one of them come up with to try to top me!! The competition between us is great. I love it and them!! Danna, because I am not such a computer minded person, and, because I am afraid that I will mess my Kindle up somehow, I need help setting up my Kindle. One of my local libraries is offering help with that. So Wednesday morning I will go make full use of this help. Aren’t libraries great offering all this help to the general public? What great places and people who work in these libraries. What would we do without them? Yikes, Linda, I have seen movies with Christmas scenes that are similar to what you described – as far as family “events” taking place! I’m glad you got your Kindle, and hope you were able to get it set up, so you can take advantage of all of the great Kindle deals BB tells us about! I read a couple of the Mr. Monk series by Lee Goldberg. While not quite a cozy, they are a nice series.